As weak economic data from China hit asset prices globally, Bitcoin Magazine spoke to a number of experts to assess the impact on the price of bitcoin. 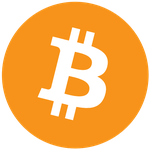 Since its introduction in 2009, soon after the outbreak of the Great Recession, bitcoin has been championed as a more reliable store of long-term value than fiat money given bitcoin’s capped supply and the continued printing of fiat currencies by various central banks, which many fear will continue to cause financial crises across the globe. However as the CBOE Volatility Index (VIX), often referred to as the ‘Fear Index’, recently trebled from 13.02 to 40.74, and global markets posted their worst week of the year, the U.S. dollar price of a bitcoin fell almost 20 percent from $256.98 to $209.13, suggesting investors are yet to be convinced of the investment case for bitcoin in times of economic turmoil. “World markets are in commotion with the next leg in The Great Credit Contraction coming from Greece, Puerto Rico, China and anticipated Fed rate hikes despite a strengthening dollar,” Bitcoin investor Trace Mayer explained in an email to Bitcoin Magazine. Mayer believes that while it offers “a potential solution to this intractable global problem … (bitcoin) is not currently viewed as such by the majority of the investment community. P. Bart Stephens, co-founder and managing partner of Blockchain Capital LLC, believes it is too early in the evolution of Bitcoin for it to be considered a safe haven for investors in times of panic. “The recent drop in global stock prices is being driven by macro-economic factors … namely, the slowing Chinese economy and Chinese policymakers’ quixotic responses to stock market volatility,” he said. “This puts investors in ‘risk off’ mode and causes a flight to safety”. Furthermore, Stephens argued, at roughly $3 billion, the entire Bitcoin market is about the size of one small cap tech stock and therefore a small amount of selling in the Bitcoin market can cause dramatic moves in price. As a result, “Bitcoin is still seen as a high-risk investment,” he said. Prominent Bitcoin investor Roger Ver believes that the fall in the price of Bitcoin might even be a symptom of improving adoption. Ver’s comments echoed those made by Tim Draper of Draper Fisher Jurvetson that the bitcoin price was bound to come under short-term pressure as miners get more bitcoin, causing selling pressure and less demand to buy as the use cases evolve. Stephens agrees that the near-term might see further weakness in the bitcoin price. “Bitcoin is in a bear market and has been for almost two years. … More recently this summer, the weakness in the price is due to the divisions in the Bitcoin development community”, he said. “Markets, and this includes bitcoin, dislike uncertainty”. However, looking further ahead, Stephens is more buoyant. “Over the intermediate to long term, we think bitcoin will perform very well, especially in a macro-economic environment characterized by fiat currency wars and currency volatility”, he said. Despite the concerns around the short-term outlook, the Bitcoin community appears unanimous in its optimism for the longer-term prospects for the digital currency. “Every time we are reminded of the difficulty of central banks and governments trying to manage currencies, economies or markets, we are reminded of the potential value of an alternative, truly free-market approach to currency and financial transactions,” said Ed Boyle, CEO at payments processing platform Blade Payments.